This is the first time we've shown vintage prints at Porchlight. 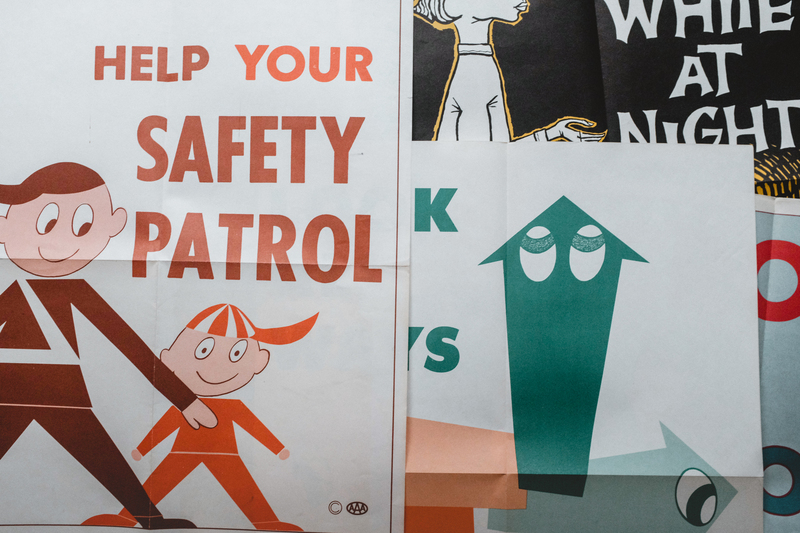 These are posters from the 50s and 60s that AAA of Washington produced to promote traffic/walking safety. They're very scarce and very cool. Posters come framed in white 18" x 24" glass and wood frames. Upon purchasing, you'll claim the framed print on the wall and can pick it towards the end of April. Feel free to get in touch with any questions you may have. These pieces do not ship, and can only be picked up at Porchlight.